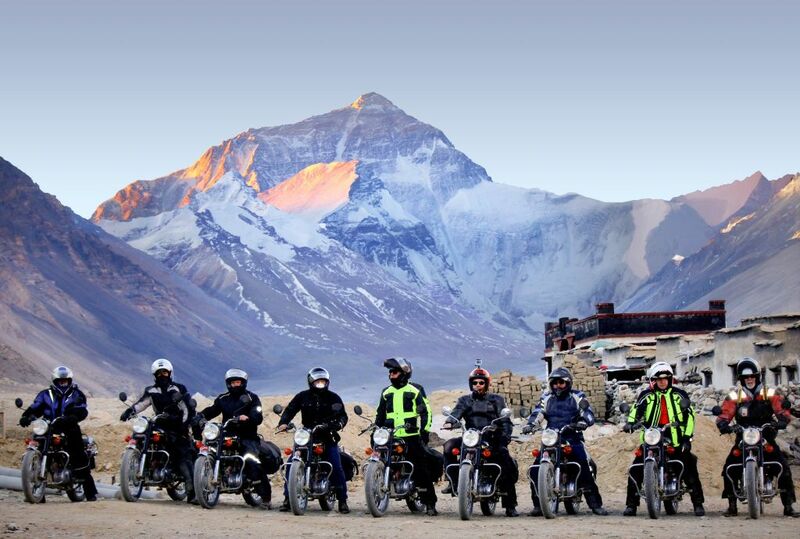 The Himalayan Motorcycle Tour offered by Himalayan Road Runners Ltd. does not, to me, fit the title “Tour.” “Tour” implies a series of preset, predetermined destinations filled with local color, sights, and sounds designed to ignite the imagination and a refined cuisine to excite the palate of all. “Adventure Tour” is heading in the right direction, suggesting a slight potential of implied danger. Mind you, Himalayan Road Runners provides ALL of the above, in large doses. 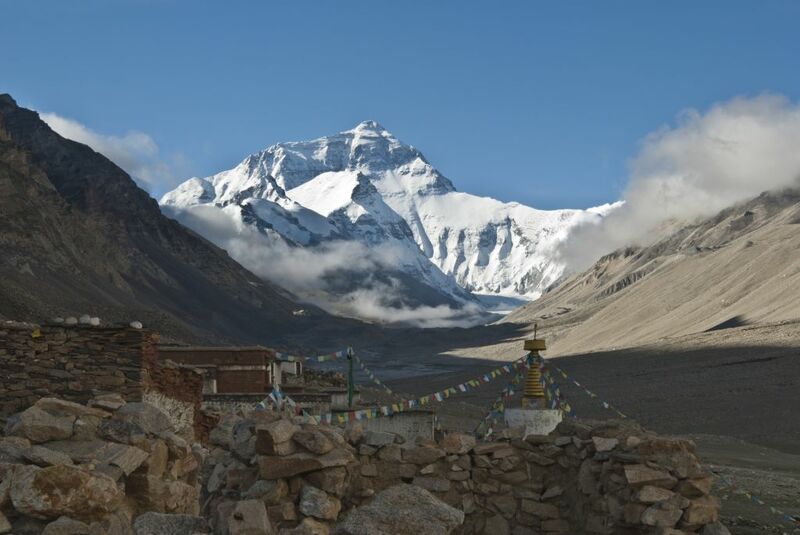 I prefer to call Kathmandu/Everest/Lhasa an “expedition.” Webster’s Dictionary: “Expedition” is a group of persons engaged in a journey or voyage made for some specific purpose such as war or exploration. This adventure/expedition is a monumental effort of endless obstacles, challenges and variables that must be overcome, on a daily basis, by all parties involved. The riders and Himalayan Road Runners staff battle against all elements, natural and man-made, and once you think you’ve won, it gets harder. A metaphor of sorts, for one’s own personal expedition in your own life’s journey. Arm yourself with knowledge, skills and bravery, and soldier on. You will succeed and the rewards are many. This expedition should definitely NOT be your first motorcycle adventure. On a scale of one to ten, it’s an eleven. 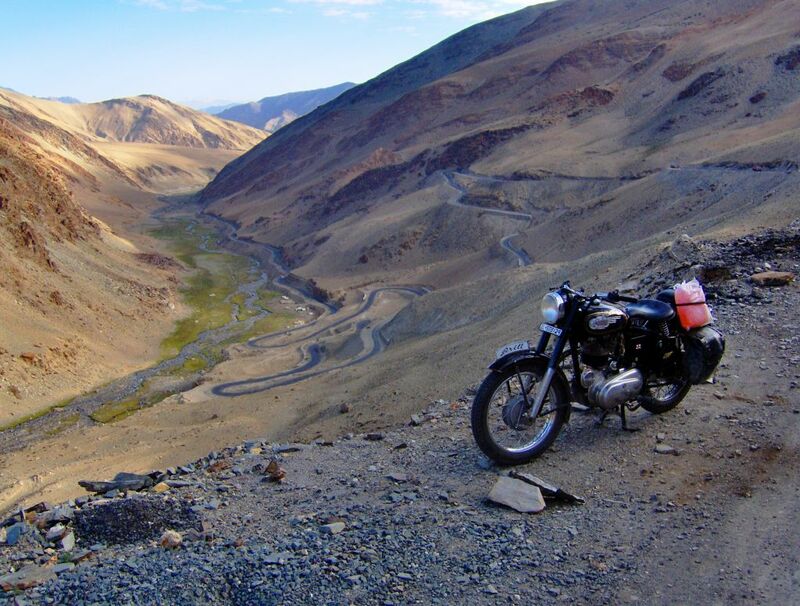 Start with a tour of Europe or Thailand, then dial it up with an off-road journey to Bhutan, then perhaps now you’re ready to tackle an eleven. I have always had a deep fascination with eastern philosophies, cultures; the opportunity to stand at the base of the world’s highest mountain, and visit the amazing temples and monasteries through Nepal and Tibet, was just too compelling. It’s a tale of chills and thrills, danger and romance! Take this voyage of exploration with me on this amazing expedition: see ya on the mountain.